The Ascort was the brainchild of Czechoslovakian immigrant to Australia Mirek Craney who was born Miroslav Krajnik in Czechoslovakia on 3 July 1925. Mirek was the only child of his mother and engineer father, who specialised in fine work and was celebrated for repairing the famous clock in the Old Town Square in Prague after it was damaged during World War II. In 1950 Mirek migrated to Perth, Western Australia, to escape the conditions in Europe following World War II. This resulted in a 2 year labouring contract for the Australian federal government, where Mirek worked as a foundry hand in Perth. Following the completion of the labouring contract, Mirek moved to Sydney where he lived with Czech friends and worked in a variety of jobs including photography, designing jewellery and playing piano in nightclubs. 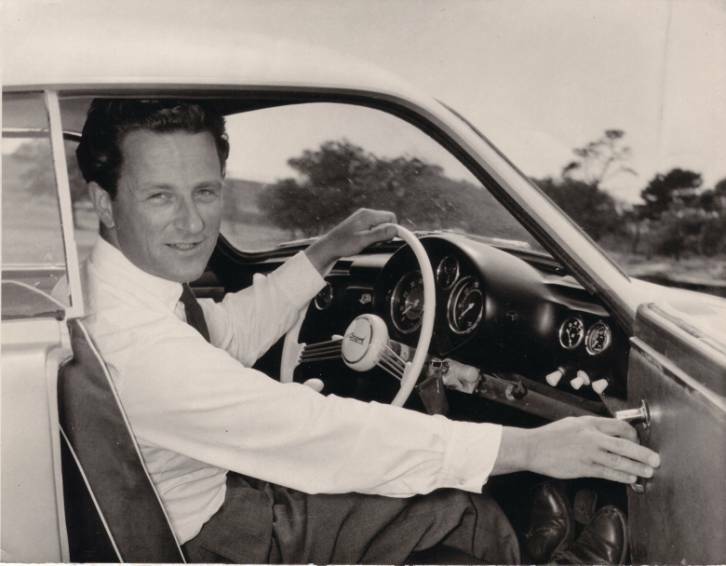 The 22 October 1959 edition of the Australasian Post magazine states that Mirek studied plastics engineering at the Prague University before immigrating to Australia.  Mirek would read voraciously until he had learned any new skill that he had set himself. He was self-taught in many things including film making and photography which he was very interested in. While working in Sydney, Mirek met his wife to be, Anna, through mutual friends and they discovered that their mothers had gone to school together. They also knew of each others families when in Prague but had not been friends there. Anna was working in a large retail store and studying interior design at the time of their meeting. Mirek and Anna were married in Canberra in 1957. Mirek and Anna shared a love of sports cars. 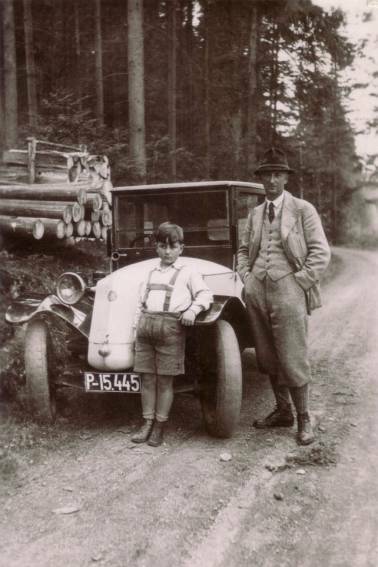 Mirek had owned an old BMW 328 before immigrating, and Anna had purchased a Singer Nine Roadster in Sydney. Mirek and Anna loved having the sports car, but Anna did not have a drivers license at the time and so Mirek got to do all of the driving. With a young family on the way, Mirek and Anna decided they needed something bigger than the Singer, but loved the idea of a sports car. 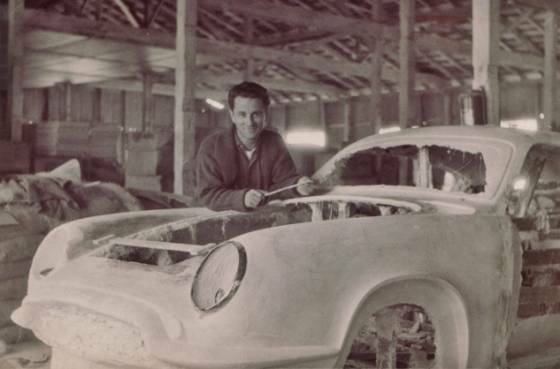 With Mirek’s understanding of the new glass reinforced plastic material (fibreglass) and his love of sports cars, the idea of building the Ascort was born. Their bank helped them find investors and Mirek started building the car in the garage of their rented home in Wolseley Rd, Point Piper, Sydney. In the late 1950s Volkswagen had the reputation of being one of the best small vehicles on the market. 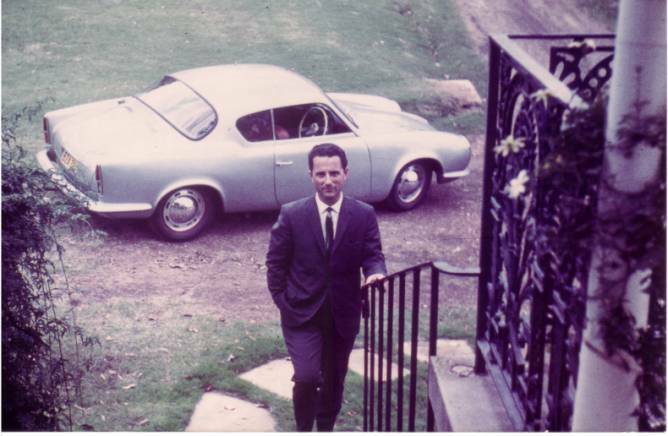 Mirek had an interest in Volkswagens, and his love of sports cars logically led him to an interest in the sports model the Karmann Ghia and the German engine performance parts manufacturer, Okrasa. 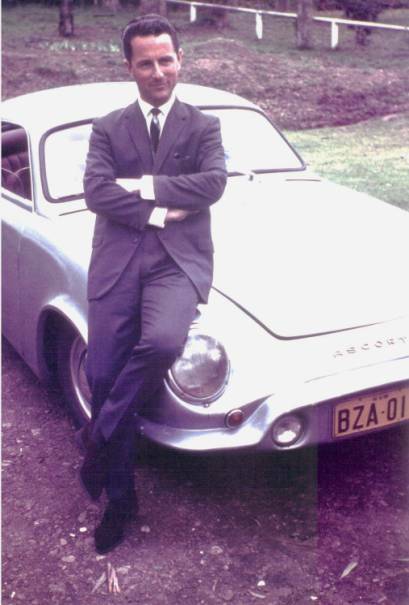 Mirek became an importer and distributor of the Okrasa modification kits and photos indicate that Mirek may have been involved with the import of an Okrasa modified early low light Karmann Ghia into Australia. 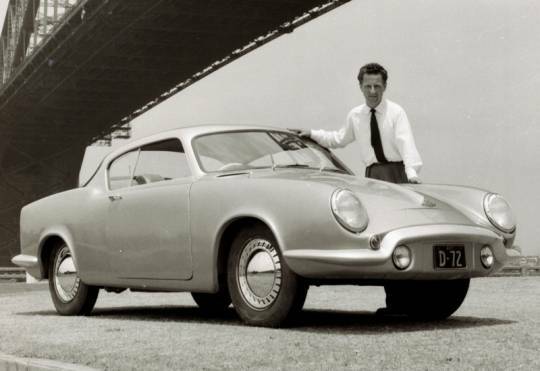 The Karmann Ghia became an obvious starting point for his new design, but more interior space was required his car. While the Ascort was being developed Mirek utilised his knowledge and contacts within the plastics industry and built up his fibreglass equipment importing business “Hermex Corporation”. On completion of the prototype, the Ascort received significant praise in numerous press articles, but the project was under financed and it put significant stress on Mirek. Although it was obvious that he had produced a world-class design, Mirek eventually had to accept that he could not produce and market the Ascort to the standard that he wanted and still make a profit. After only 19 cars were built, the Ascort project came to an end so that concentration on the more financially viable Hermex Corporation activities could occur. Seeing the Ascort project and dream fold was not easy for Mirek making this a very stressful time in his life. When production of the Ascort folded, Hermex Corporation was developed further and was to become Mirek’s main business venture for his working life. Although the Ascort project had ended, Mirek kept his connection with Ascort cars throughout his life and according to a family member, he owned and drove several over the years. Mirek sold the last Ascort that he was to own in the late 1970s after an involvement with the cars for approximately 20 years. After several years off illness Mirek died in 1982 of complications from a brain tumour.